Stainless steel plates are often referred to as “corrosion-resistant steel” – it does not stain, corrode or rust as easily as normal carbon steel. It would however be misleading to say it is corrosion-proof. It differs significantly from standard carbon steel due to the amount of chromium present, which limits surface corrosion unlike carbon steel which will rust when exposed to air and any moisture in the atmosphere. Due to its anti-oxidation qualities, stainless steel is often a popular solution. Where low maintenance and corrosion resistance is required, stainless steel plates are a natural choice and are used in a diverse range of applications from modern architecture for cladding or fascias, to the food hygiene industry due to its anti-bacterial qualities. Steber Steel supplies stainless steel in a wide variety of grades and aesthetic finishes. There are many options available – for example adding carbon during the forming process will make the stainless steel more durable and stronger too. We can supply stainless steel in coils, sheets, plates and bars and ship the material worldwide. 304, 304L, 304H, 316, 316L, 304N, 316Ti, 309, 310S, 317L, 321, 347, 409, 410, 420, 430, 446, 202 Etc. Coils, Foils, Shim Sheet, Perforated Sheet, Chequered Plate, Strip, Flats, Blank (Circle), Ring (Flange) Etc. Stainless steel resistance to corrosion and staining, low maintenance, relatively low cost, and familiar lustre make it an ideal material for many applications. There are over 150 grades of stainless steel, of which fifteen are most commonly used. The alloy is milled into coils, sheets, plates, bars, wire, and tubing to be used in cookware, cutlery, hardware, surgical instruments, major appliances, industrial equipment (for example, in sugar refineries) and as an automotive and aerospace structural alloy and construction material in large buildings. Storage tanks and tankers used to transport orange juice and other food are often made of stainless steel, due to its corrosion resistance and antibacterial properties. This also influences its use in commercial kitchens and food processing plants, as it can be steam-cleaned and sterilized and does not need paint or other surface finishes. Ferritic stainless steels generally have better engineering properties than austenitic grades, but have reduced corrosion resistance, due to the lower chromium and nickel content. They are also usually less expensive. They contain between 10.5% and 27% chromium and very little nickel, if any, but some types can contain lead. Most compositions include molybdenum; some, aluminium or titanium. Common ferritic grades include 18Cr-2Mo, 26Cr-1Mo, 29Cr-4Mo, and 29Cr-4Mo-2Ni. These alloys can be degraded by the presence of Ïƒ chromium, an intermetallic phase which can precipitate upon welding. Martensitic stainless steels are not as corrosion-resistant as the other two classes but are extremely strong and tough, as well as highly machinable, and can be hardened by heat treatment. Martensitic stainless steel contains chromium (12 14%), molybdenum (0.2 1%), nickel (less than 2%), and carbon (about 0.1 1%) (giving it more hardness but making the material a bit more brittle). It is quenched and magnetic. Precipitation-hardening martensitic stainless steels have corrosion resistance comparable to austenitic varieties, but can be precipitation hardened to even higher strengths than the other martensitic grades. The most common, 17-4PH, uses about 17% chromium and 4% nickel. The Lockheed-Martin Joint Strike Fighter is the first aircraft to use a precipitation-hardenable stainless steel Carpenter Custom 465 in its airframe. Duplex stainless steels have a mixed microstructure of austenite and ferrite, the aim usually being to produce a 50/50 mix, although in commercial alloys the ratio may be 40/60. Duplex stainless steels have roughly twice the strength compared to austenitic stainless steels and also improved resistance to localized corrosion, particularly pitting, crevice corrosion and stress corrosion cracking. They are characterized by high chromium (19 32%) and molybdenum (up to 5%) and lower nickel contents than austenitic stainless steels. Duplex grades are characterized into groups based on their alloy content and corrosion resistance. Lean duplex refers to grades such as UNS S32101 (LDX 2101), S32304, and S32003. The standard duplex is 22% chromium with UNS S31803/S32205 known as 2205 being the most widely used. Super duplex is by definition a duplex stainless steel with a pitting corrosion equivalent (PRE) > 40, where PRE = %Cr + 3.3x(%Mo + 0.5x%W) + 16x%N. Usually super duplex grades have 25% chromium or more and some common examples are S32760 (Zeron 100), S32750 (2507) and S32550 (Ferralium), although not all Ferralium grades are super duplex grades. Hyper duplex refers to duplex grades with a PRE > 48 and at the moment only UNS S32707 and S33207 are available on the market. The properties of duplex stainless steels are achieved with an overall lower alloy content than similar-performing super-austenitic grades, making their use cost-effective for many applications. Stainless Steel Plate is sleeved into plastic bag individually, pieces wrapped with water-proof material, bundled with nylon rope. Clear labels are tagged on the outside of the package for easy identification of the quantity and product I.D. Great care is taken during operation and transportation. SS Stainless Steel Plate packing will be according to international standard in bundles strapped by strips then into containers to avoid any damage. – End of Stainless Steel Plate protected by plastic Strip. We export Stainless Steel Plate to Iran, Iraq, Oman, Qatar, Albania, Muscat, Bahrain, Turkey, Egypt, Maldives, Italy, UAE, Bahrain, Indonesia, Australia, Kuwait, Saudi Arabia, South Africa, Germany, UK, Denmark, Canada, USA, Peru, Brazil, Nizeria, Mexico, Venezuela (Latin America), South America, Russia, kazakhstan etc. We Export Stainless Steel Plate to Saudi Arabia, Qatar, Oman, Iran, Iraq, Bahrain, Kuwait, United Arab Emirates, Dubai, Turkey, Egypt, Yemen, Israel, Jordan United Kingdom, United States of America, Mexico, Brazil, Chile, Argentina, Spain, Germany, Netherland, Italy, Europe, Albania, Ukraine, Russia, Japan, China, Sri Lanka, Pakistan, Bangladesh, Nepal, Bhutan, Maldives, Singapore, Malaysia, Thailand, South Korea, Vietnam, Indonesia, Australia, New Zealand, Alaska, Tehran, Riyadh, Jubail, Dammam, Jeddah, Houston, Doha, Musqat, Karachi, Colombo, Jakarta, Bangkok, Basra, Abadan, Bandar Abbas, Sharjah, Morocco, Istanbul, Kobhar, Mecca, Madina, Al Madina, Makkah, Mesaieed, Dukhan, Ras Laffan, Sohar, Manama, Aqaba, Port of Aden, Shuwaikh, Yanbu, Jubail. Steber Steel is a well known worldwide exporter of Stainless Steel Plate, Steber Steel is committed to provide each and every customer with the highest standard of customer service. 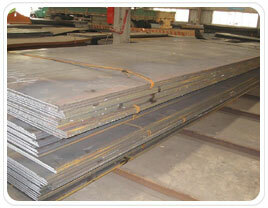 We deals in Stainless Steel Plate in India & Overseas, offering a wide range of Stainless Steel Plate.